Designed by accountants for accountants with productivity the primary objective! Multiple Client Write Up Software designed for fast, heads-down data entry and processing efficiency. Click here for FCA Software Fees. Domain – Microsoft NT® and all later server versions. Local Area Network – 1,000 MBPS (1 GB) with Windows 7®, Windows 8® or later or server 2008 R2 or better. 12 GB of RAM or more. If Terminal Server, then adequate RAM for the number of processors. Microsoft Terminal Services® – 2008®, Windows 7®, Windows 8® or later. – No extra charge. PC running Microsoft Windows 7®, Windows 8® or later. LAN connection to server 1,000 MBPS (1GB). 4 GB or more of RAM minimum. See Recommendation. It is typical for processors to be running multiple monitors with several programs open such as a couple versions of QuickBooks, Excel spreadsheet, etc. To be able to do this, the minimum requirement for the workstation is really much larger than it is simply to run FCA. We recommend computers be less than 3 years old with 8 or more GB of RAM to accommodate the multi tasking common in this industry. We also strongly recommend that there be no audio or video streaming. Office and remote users must have broadband internet connectivity. Although the software runs locally, internet connectivity is critical for updates and customer support. Ability to set up unlimited number of clients. No extra charge. Ability to password protect any company file. Ability to organize client listing in unlimited number of client groups. Use this powerful feature to organize client groups by supervisor and/or bookkeeper, etc. Transactions are maintained in accounting periods may be set as monthly, quarterly, 13 4-week periods or annual. Process in future periods up to twelve (12) future periods. Ability to open a prior period up to twelve (12) periods back. This ability is restricted to users with rights granted by the owner/administrator. All detail is retained with ability to print any report for any period from day-one. Ability to consolidate the detail in user defined prior periods. Use this for very large files to enhance processing speed. When prior periods have been consolidated, all reports that do not require detail can still be printed, such as all financial statements. Support Hours: Monday-Thursday 9:00 am to 7:00 pm ET and Friday 9:00 am to 3:00 pm ET. Extended weekend hours during January. Dillner's User Conference (DUC). Next one to be held June 2020. Free initial web-based training as well as ongoing for new employees. Balance forward system for doing Accounts Receivable for clients and for your own firm. Click here for a complete Accounts Receivable Manual. Set up unlimited custom invoice items. Set up unlimited custom tax items. Set up repetitive items by customer. Create unlimited marketing messages in two levels. Automatically generate repetitive invoices by marketing group(s). Automatically create ACH files for custom pre-authorized draft payments by billing group(s). Automatically create credit card submission files for pre-authorized credit card charges by billing group(s). Print paper drafts including automatic posting of payment records by billing group(s). Automatically create payment records for customers with pre-authorized payments. Automatically send statements and invoices to clients’ Virtual Office portals. Print reports and automatically send pdf versions to clients' portal in the Virtual Office. Print your accounting office's accounts receivable statements and invoices directly to your clients' portals in the Virtual Office. Create global or client specific report groups. Create custom report groups containing only the reports you send to the client each period. Create unlimited number of Report Groups. Integrated with network file system. Integrated with Virtual Office (website) client portals. Automatically print to pdf, print to physical printer and send to client's Virtual Office portal all at once. 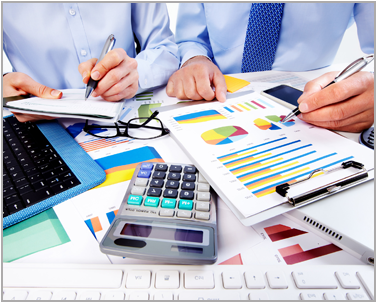 Comes with a large suite of pre-made reports including financial statements and managerial reports. Modify reports using Crystal Decisions, if desired. ¤ Quick Search - includes all census information for Contacts. ¤ Advance search - includes up to 65 fields of Contact data. ¤ Two custom defined filter fields. ¤ Search for specified text. ¤ Global Search of all fields for matching text. ¤ Customizable results screen to include and exclude data fields as desired. ¤ Memorize search - ability to memorize an unlimited number of search configurations. Export - Export results to comma delimited, tab delimited or Ascii file. Ability to merge as many Contacts as necessary. With one click the ability to sort results by any data field. Drill down on any Contact record to the Contact Manager. ¤ Over 25 data fields in the results. Ability to create unlimited number of client-specific memorized search configurations. Drill down on any result item to the source journal.